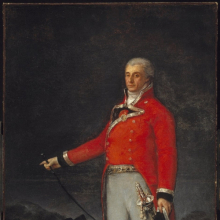 The most successful portraitist in early nineteenth-century Spain, Goya painted the royal family as well as the era’s most distinguished civil and military leaders, including the subject of this work. Tadeo Bravo de Rivero wears the brilliant uniform of a cavalry officer: a scarlet coat trimmed with gold and silver braid (here adorned with the medal of the prestigious Order of Santiago), tight-fitting leggings, high boots with gleaming spurs, and a ceremonial sword at the hip. His tri-cornered hat in his left hand, Tadeo Bravo majestically gestures to the battle-darkened sky with his right hand, holding a riding crop. At the officer’s feet, Goya places a dog, a traditional symbol of fidelity suggesting the subject’s devotion to his king. 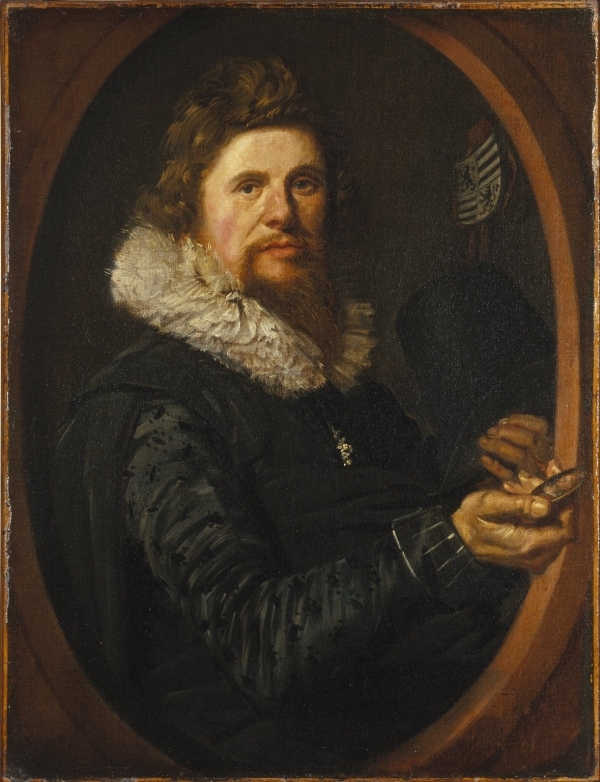 Though this is a formal portrait, the artist declares his friendship with Tadeo Bravo by adding the signed dedication “A su amigo” (To his friend) in the lower left corner. 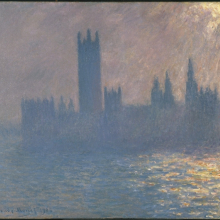 Intrigued by the challenge posed by the play of water and light, Monet tested himself by painting the transformative beauty of London’s fog and smoke in several works executed along the banks of the Thames during three winter painting campaigns from 1899 to 1901. Monet stationed himself on the balcony of Saint Thomas’s Hospital, across the river from his subject, substituting one canvas for another as changing weather and light conditions dictated. Their neo-Gothic spires blunted by the mauve gloom of late afternoon, the Houses of Parliament emerge as a massive silhouette. Rays of pale sunshine break through the murk in the upper right corner of the canvas and burst across the shimmering waters in overlapping strokes of pink, salmon, and yellow. The painter later reworked the canvas in his Giverny studio in 1903 in preparation for an exhibition the following year. Brunias was a London-based Italian painter who left England at the height of his career to chronicle Dominica, then one of Britain’s newest colonies in the Lesser Antilles. This painting depicts two richly dressed mixed-race women, one of whom was possibly the wife of the artist’s patron. They are shown accompanied by their mother and their children, along with eight African servants, as they walk on the grounds of a sugar plantation, one of the agricultural estates that were Dominica’s chief source of wealth. Brunias documented colonial women of color as privileged and prosperous; the two wealthy sisters are distinguished from their mother and servants by their fitted European dresses. The painting is a Caribbean version of contemporaneous English works made popular by artists such as William Hogarth and Thomas Gainsborough, whose art often depicts the landed gentry engaged in leisurely pursuits. 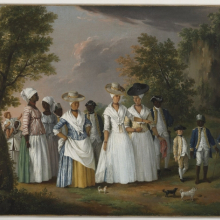 Although Brunias was originally commissioned to promote upper-class plantation life, his works soon assumed a more subversive, political role throughout the Caribbean as endorsements of a free, anti-slavery society, exposing the artificialities of racial hierarchies in the West Indies. 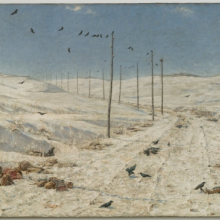 In March 1879, Vereshchagin sent The Road of the War Prisoners, the first completed painting from the Balkan series, to St. Petersburg to assess the czar’s interest in purchasing it for seven thousand rubles. The court rejected the painting for its “impossible subject,” and it only sold later, in 1891, in New York where American collectors still reeling from the horrors of the Civil War were sympathetic to Vereshchagin’s message. Nardo di Cione, along with his brother Orcagna, dominated Florentine painting in the second half of the fourteenth century. After the Black Death struck Florence in 1348—taking the lives of two-thirds of the population—artists reacted against the humanism championed earlier in the century by Giotto (1267–1337). In this pivotal moment, Nardo returned to the use of gold grounds, the traditional manner of representing the changeless luminosity of the eternal, while nonetheless continuing to explore Giotto’s fascination with the character of the visible world. Here, Nardo adopts the more “gothicizing” style that came to the fore after the Black Death. For example, a strongly hierarchical arrangement of figures—with the enthroned Madonna placed higher in the picture, and shown larger than the surrounding saints—indicates Mary’s exalted devotional position. However, the figures also display the sensitivity of expression and three-dimensional tactility pioneered by Giotto. 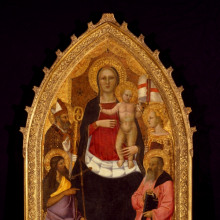 Nardo likely painted this altarpiece for the Duomo in Florence, which housed the relics of Saint Zenobius (shown at the upper left) and whose original patron saint was Reparata (shown at the upper right) This work is considered by scholars to be the most important fourteenth-century altarpiece in America. Although our collection of European paintings has often been presented in a chronological arrangement by school or style, this installation exploits the architecture of the soaring Beaux-Arts Court by devoting each wall to an exploration of the meaningful connections that the works display when arranged according to theme. 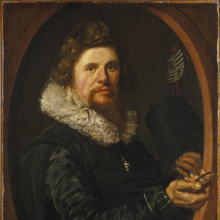 The section called “Painting Land and Sea” surveys the formal methods that painters have used to render their physical surroundings across the centuries. “Art and Devotion” considers the ways in which the artists of the early Renaissance expressed the central tenets of the Catholic faith. “Russian Modern/Русский Модерн” explores the impact and influence of Russian and former Soviet artists on modern European painting. Finally, “Tracing the Figure” charts the enduring artistic interest in the human figure, from portraits that place an individual in a clearly defined place and time to timeless abstractions of the human form.